SkinCeuticals Triple Lipid Restore 2 : 4 : 2 - 40ml - $140 - an anti-aging treatment with a lightweight and fast-absorbing texture that refills cellular lipids to chronologically-aged skin to help with signs of accelerated aging. Not sure what lipids do for the skin? They actually play a critical role in skin health including healthy cell signaling, cell turnover, barrier function and natural self repair - so keeping lipid levels maximized is what will keep skin looking healthy and younger! 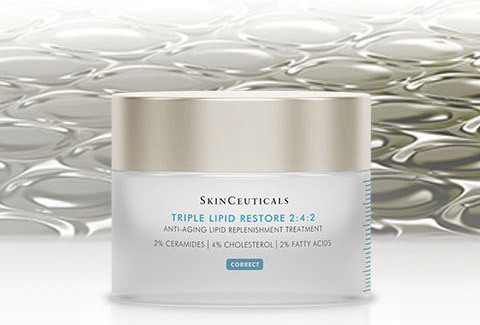 This formula is great for that with a maximized concentration of pure reparative lipids including 2% ceramindes, 4% natural cholesterol and 2% fatty acids to correct and nourish the skin by refilling essential skin lipids, restoring the external barrier and supporting natural repair - for improved skin texture, laxity, evenness and overall radiance. Obviously this is a cream for older skin but if you have super dry skin of any age and money to burn you will love how nourishing this feels so go ahead and slather it on! Available at select dermatologist offices, medical spas and high-end spas across Canada - visit www.skinceuticals.com/canada to find one near you. I love mine but I actually bought it for $75 on eBay from a seller that I get all my skin care from.